Garlic what? Garlic scapes. They’re shoots that grow up from the underground garlic bulb. 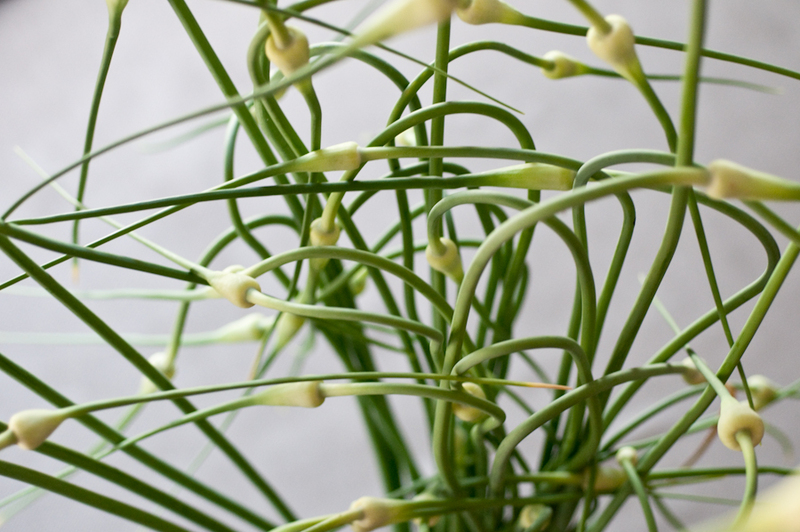 Scapes taste kind of like a garlicky scallion. Brilliant, no? A generous Freecycler offered a bunch of them, and Stacey was lucky enough to get the lot. So many scapes…so many recipe ideas! 1) Sliced on a Green Salad – Keep it simple and let the garlic flavor shine through! 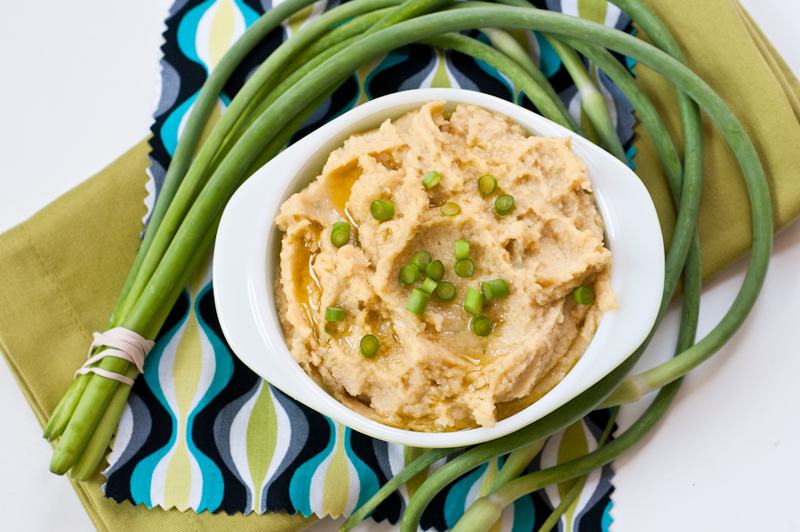 2) Chickpea-Garlic Scape Hummus – In the food processor, puree a can of chickpeas (or red, white or black beans, perhaps?) with garlic scapes, salt, oil and lemon or lime juice. Taste as you go to achieve desired texture and flavor. Top with a few sliced scapes and a little drizzle of oil to impress your guests. 3) Add into Crustless Quiche – Anything goes when you’re making this delicious potato-crust quiche. Sautee sliced scapes with other veggies and add them into the quiche. Hint: don’t feel like shredding potatoes? Buy shredded hash brown potatoes in the freezer section instead! 4) Garlic Scape Pesto – Like any other pesto, there’s no need for a recipe, just taste as you go. In the food processor, finely chop/puree garlic scapes. Add walnuts, parmesan cheese, salt and drizzle olive oil while processing to desired consistency. If it’s too garlicky, add spinach, kale or basil to lighten the pesto. 5) Garlic Scape Refrigerator Pickles – Bring 1 cup cider vinegar, 1 cup water, 4 teaspoons kosher salt and 2 teaspoons sugar to a boil to dissolve salt and sugar. As it boils, coil scapes into a clean jar with a lid. Pour vinegar solution into jar. Cover, let cool and refrigerate, according to this source, for several weeks before enjoying pickled scapes. Have you cooked with garlic scapes? Radishes from Washington’s Green Grocer! I love these ideas… especially the potato-crust quiche and the pickled scapes! Why have I never played with these guys before? They are beautiful! everyfoodfits.com » Fall Food Prep – Autumn is Here!